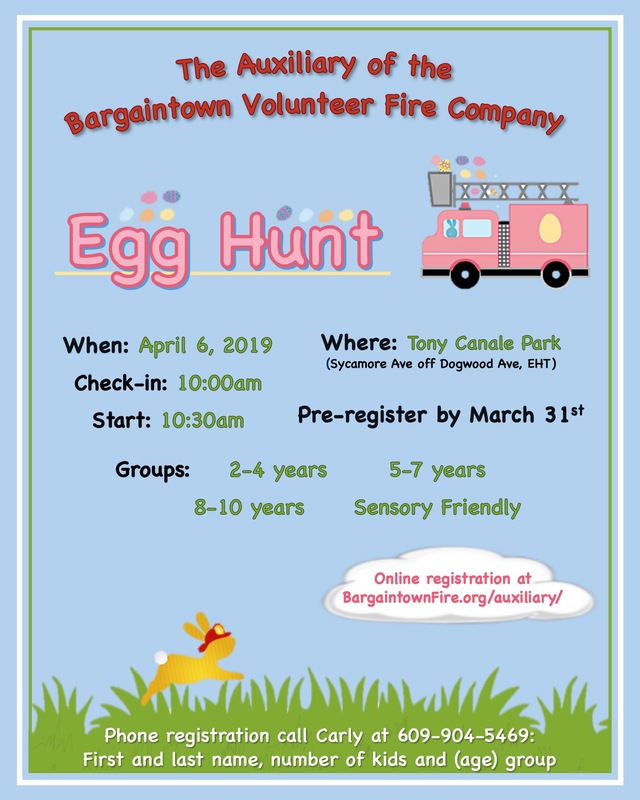 The Bargaintown Fire Auxiliary is a completely separate and fully volunteer 501(C)(3) organization staffed by residents of Egg Harbor Township. Our goal is to help support the Bargaintown Volunteer Fire Company #2 with organizing fundraising, community events, and providing additional supplies at the scene of major incidents. DONATE TO BARGAINTOWN VOLUNTEER FIRE CO AT NO COST TO YOU! ITS EASY! Do you use Amazon? If yes, donate each time you shop on Amazon with Amazon Smile! AmazonSmile is a simple and automatic way for you to support your favorite charitable organization every time you shop, at no cost to you. When you shop at smile.amazon.com, you’ll find the same low prices, vast selection and convenient shopping experience as Amazon.com, with the added bonus that Amazon will donate a portion of the purchase price to your favorite charitable organization. On your first visit to AmazonSmile (smile.amazon.com), you need to select a charitable organization (Bargaintown Volunteer Fire CO) to receive donations from eligible purchases before you begin shopping. They will remember your selection, and then every eligible purchase you make at smile.amazon.com will result in a donation. To shop at AmazonSmile simply go to smile.amazon.com from the web browser on your computer or mobile device. You may also want to add a bookmark to smile.amazon.com to make it even easier to return and start your shopping at AmazonSmile. Purchases don't count from the phone app, but you can add items to the cart and then checkout on the web browser! Make sure you're on AmazonSmile at checkout or your donation won't be received. If you are interested in joining the fire auxiliary stop in at one of our meetings. We meet at 7:00PM on the second Wednesday of each month from August-May at Bargaintown Station 1 located at 6550 Mill Road Egg Harbor Township.